Whether it’s handing out how to vote cards or hosting one of my signs in your yard, I can’t do this without your help. 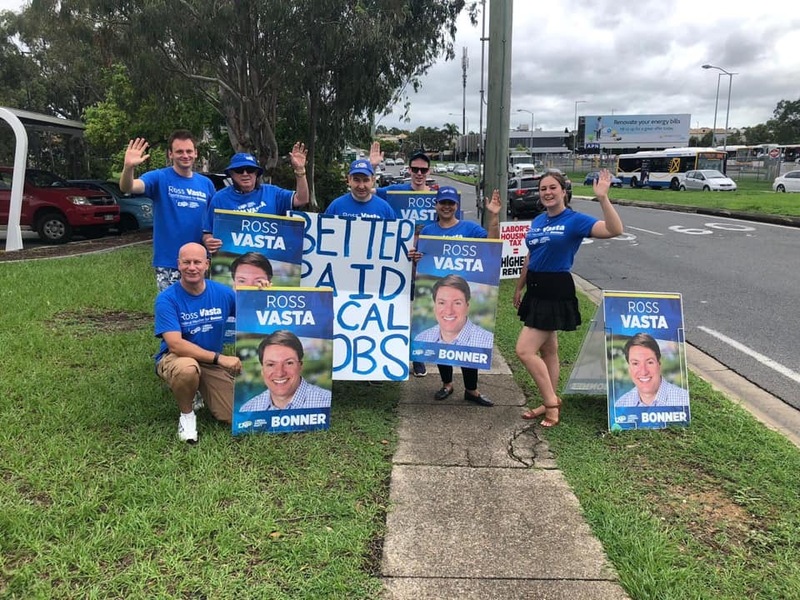 No matter how big or small your efforts working as a team is how we can ensure that Bonner stays in the hands of the LNP. Labor has a warchest of funds from the unions and they’re targeting Bonner. My grassroots campaign relies heavily on the kindness of locals who volunteer their time and help fund my campaign but we need all the help we can get to fight of the Labor Union Army. CLICK HERE TO DONATE AND HELP KEEP BONNER!